The NT Department of Primary Industry and Fisheries (DPIF) Plant Pathology group has been involved in a three-year project investigating Fusarium wilt in watermelons, funded by Horticulture Innovation Australia Limited with co-investment from NT DPIF, Monsanto Australia and Rijk Zwaan, and funds from the Australian Government. Fusarium wilt in watermelons caused by Fusarium oxyposrum f. sp. niveum (Fon) is a serious disease of watermelons, first detected in the NT in May 2011. It causes leaf necrosis (death), necrotic blotching and seedling death in triploid watermelons. Project leader Dr Lucy Tran-Nguyen, research plant pathologists Barry Condé and Cassie McMaster, and Victor Puno (PhD student, University of Sydney) have been investigating several key research areas for the management of Fon. The first aim of the project was to determine which race of Fon is present in the NT and nationally. There are four known races of Fon worldwide (0, 1, 2, and 3). Race can only be determined by conducting glasshouse trials involving inoculating specific watermelon varieties with known susceptibility to Fon and assessing their susceptibility to two samples of Fon isolated from watermelons in the NT. Lucy is investigating ways to improve the current diagnostic test using Fon isolates from the US which were provided by Dr Kate Everts, University of Maryland. Kate visited Berrimah Farm in August 2015 as part of the collaboration on Fon research. Hopefully this will mean that molecular methods could be used to determine race in the future. Other key research areas investigated in the NT trials include the effect of temperature on disease symptom expression and the use of resistant grafted rootstocks as a disease management tool for growers. Research trials for the project are now completed and results are being compiled for the final report. Dr Tran-Nguyen presented the research findings to industry when she attended the Australian Melon Industry Conference & Field Days in Mildura, Victoria in March. 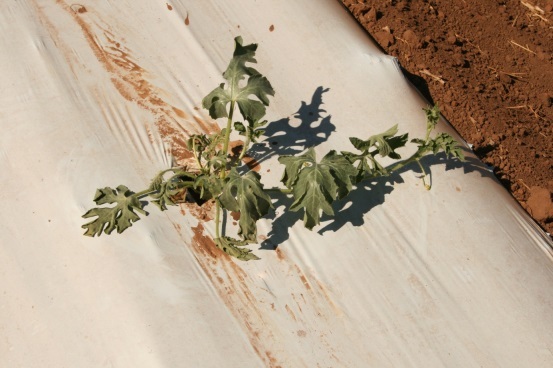 Figure 6: Fusarium wilt affecting watermelon.